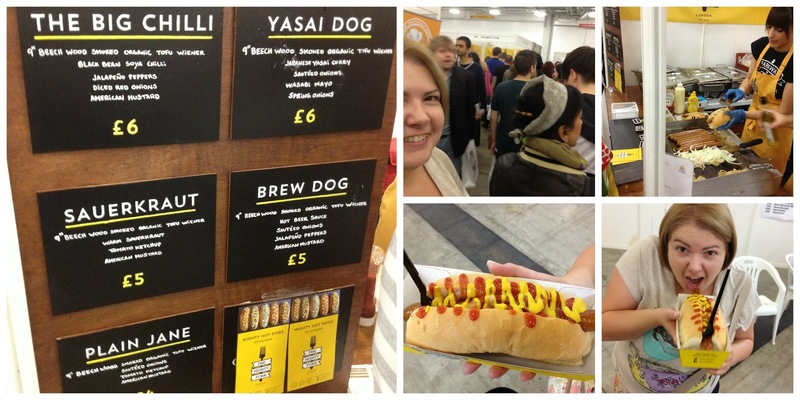 I have Nicola from Fresh Therapies to thank for the heads up about Vegfest London. She is exhibiting there and last night announced they won best Beauty Vegan Product 2013 at the show. For those not aware, I have not eaten meat for 18 years and I opt for Vegan produce rather than Vegetarian because of my milk and egg allergy. Trolley in hand we headed for Olympia with plans to fill up on Vegan food. I ended up coming home with a full belly rather than a full trolley. For those ladies who mocked my trolley in the queue to get in, I don't have the arms of a body builder, those Nakd bars weigh a ton. 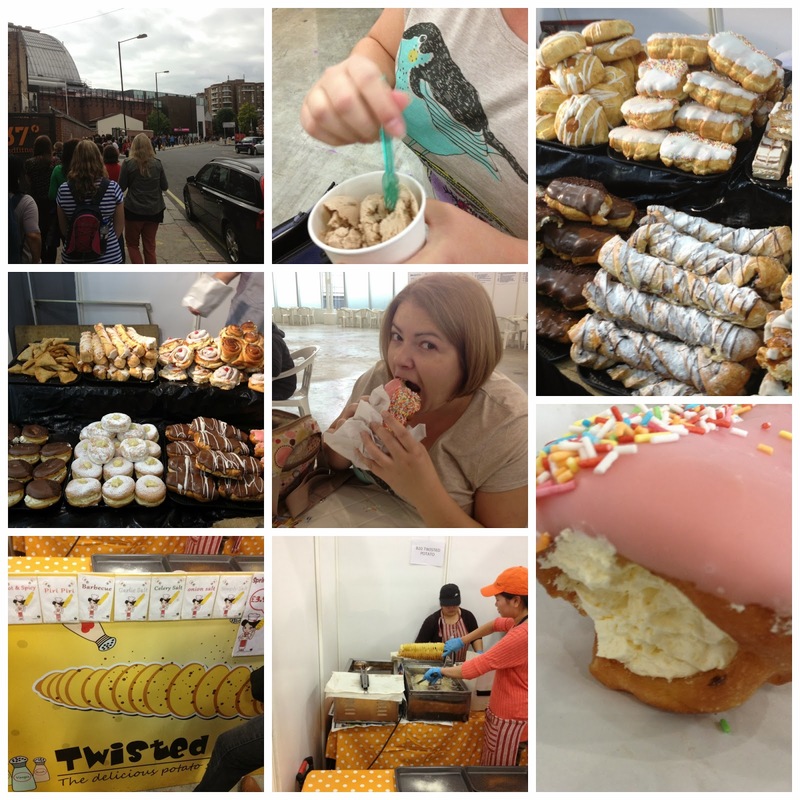 Pictures below - The Mighty Fork - I queued for 20 minutes for one of these bad boys which had been the talk of twitter. I opted for the Plain Jane and enjoyed every single mouthful. If anyone shops at Waitrose the dog was identical to Taifun Tofu Weiner but I think it's the trimmings that really made these worth the wait. 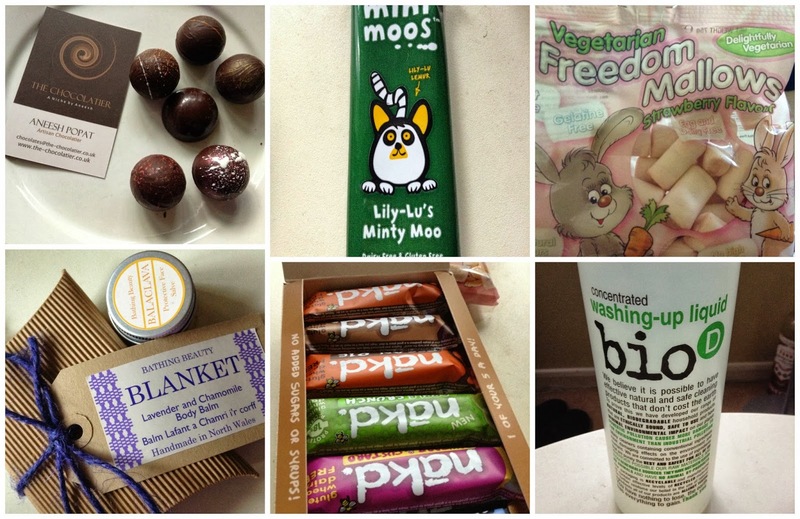 Other companies offering services which may interest you were Vegan Tuck Box and Saviour Snacks (gluten free available use code GLUTENLOVE). Both offer a food subscription box. I did not get a picture of the food on The Honest Carrot stall but it looked amazing. The day was good and interesting. I did not attend any talks or cooking demos. One downside for me is the small proportion of veggies preaching about converting meat eaters. I think everyone has the right to choose what they would like to eat without criticism or judgement. If you would like to visit Vegfest the next shows are being held in 2014 in Bristol and Brighton, google it and you'll find more information. Disclaimer - In the interest of remaining upfront & honest Bathing Beauty gave me Balaclava to try but I did buy Blanket with my own money. Links are not affiliated and this is not sponsored by anyone! I've been to VegFest in Bristol so am totally in agreement with you about what great events these are. You look like one amazingly happy girly in your pics!